So far mike has created 35 blog entries. A great deck is one that serves the purposes of you or your family while looking and feeling great. Follow these proven tips to make sure your deck stands the test of time and provides countless years of happiness. The first important factor when planning a deck is getting the dimensions right. What are your plans for the deck? You may want a deck that is for family and friends to lounge around on, but you may also need to accommodate a hot tub or pool. 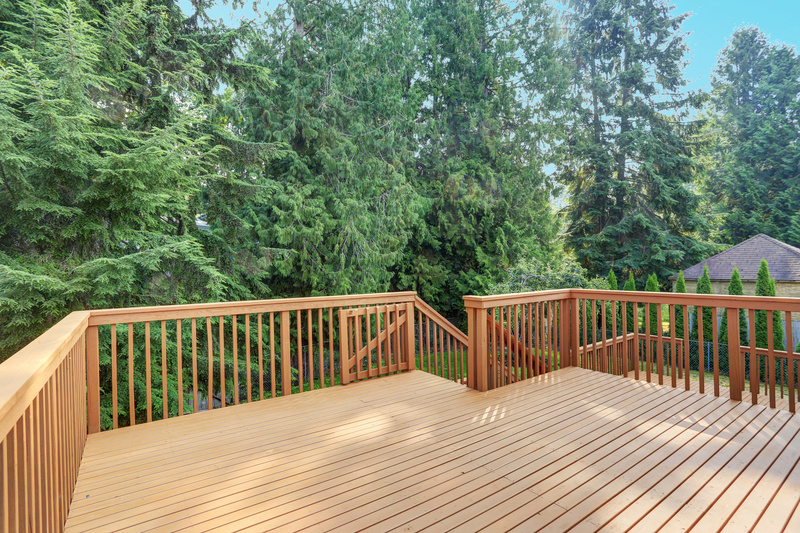 For great balance, aim for a deck that does not exceed 20% of the size of your home. On the flip side, you can also explore multifaceted design elements with a larger deck. Don’t forget that a deck is essentially a feature intended to improve outdoor living. So remember to plan for cool features such as electronics, built-in lighting, and cabinetry to store all the things you will need to keep your family and guests entertained. More often than not, the deck bridges the gap between the home and yard or garden. Make sure the transition is seamless between the two elements. You will want to consider how your yard is viewed from the deck or even incorporate garden features such as planters into the design of the deck. The most important tip for homes with yards or gardens is that one element is not dwarfed by the other. Regardless of the type of framing you go with, always aim for quality materials. You want your deck to last for as long as possible so quality materials and workmanship are, perhaps, the most important factors to consider when planning the project. If you have an old deck that simply needs some care, look to Roof to Deck Restoration for cleaning services. Contact us to find out what we can do to provide you with a more affordable option today. Having a wooden deck is both a pleasure and a pain. You get to enjoy the warmth of it in the summer but when winter hits, improper maintenance can make it an expensive investment. Don’t let your beautiful deck fall victim to what happens when there is lack of maintenance. In one word: YES! If your deck has not been properly sealed, it’s especially important it gets done as soon as you are able. The melting snow and ice seep into the wood and swells. Then the sun heats it and it shrinks. After so many rounds the wood will begin to split, crack, and warp—which makes it dangerous. First things first: don’t use a metal shovel and do not use sand. Both of these can noticeably scratch the wood. Also, stay away from salt due to its corrosive properties on hardware. Any product that has a colorant added can stain your deck, too, so it’s best to avoid them. You want to remove the snow and ice with as little damage to the wood as possible, so use a pressure washer or a rubber or plastic shovel. If you use a shovel, scrape the snow off sideways instead of lengthwise. You can catch the shovel on a corner easier going the length of the board instead of the width. At Roof To Deck Restoration, our experts take pride in knowing exactly how to get the best life out of your deck. We know how to prevent damage and just what to do if damage has already occurred. Don’t let one of your investments fall into disrepair due to lack of maintenance. Call us at 877-687-3639 or click here for a free quote. Composite Decking: Too Good to Be True? Composite is often publicized as the decking material that will eventually replace the use of wood altogether. These bold claims largely rest on the fact that composite decking typically lasts longer and doesn’t suffer from rot. However, there are a number of downsides associated with composite decking homeowners should be aware of before settling on this material. Wood is natural which, obviously, reflects the way it looks. Composite decking, on the other hand, can appear cheap and fake. Although composite is not technically prone to rot, it will begin to show clear signs of decay and aging, which can make it dull and unappealing. While you can purchase composite decking with a wood effect, it’s just not the same as the real thing. Composite decking is known to sag and bend much more than most wood type materials. The composite may not fare well under weight or heavy traffic, resulting in decking that quickly becomes unattractive. Perhaps most concerning of all, many composite decking brands are slippery by design. Add this non-resistance to mold and mildew, and you have a potential recipe for disaster. There are benefits when purchasing high-quality composite decking, as previously discussed. However, the same applies to options for wood decking. Wood decking is designed to last from 10-15 years; whereas some composite decking brands claim their product can last as long as 30 years. Homeowners who don’t mind paying a little extra for the real look and feel of wood will enjoy their decking much longer with regular maintenance, too. If you prefer natural decking, trust in wood. At Roof to Deck Restoration we can provide maintenance that will seal and protect your wood decking against weather, dirt, moisture, furniture, and everyday traffic. Call us at 651-699-3504 today to find out how and receive a quote. 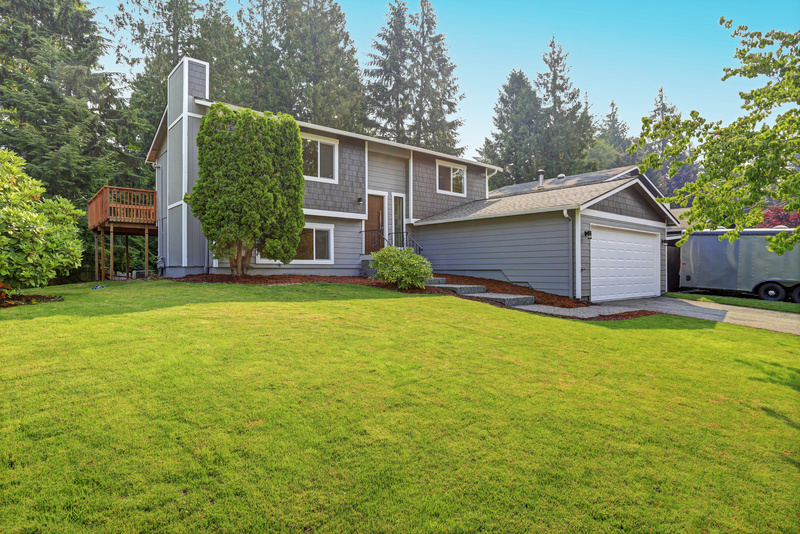 For shingled roofs, moss can be the enemy when it comes to protecting it from damage. Not only does it impact the look of the roof, moss is a plant that can seriously damage the integrity of the entire roofing system. Keeping your roof free of moss growth can help minimize damage and extend the lifespan of the roof, protecting your investment. 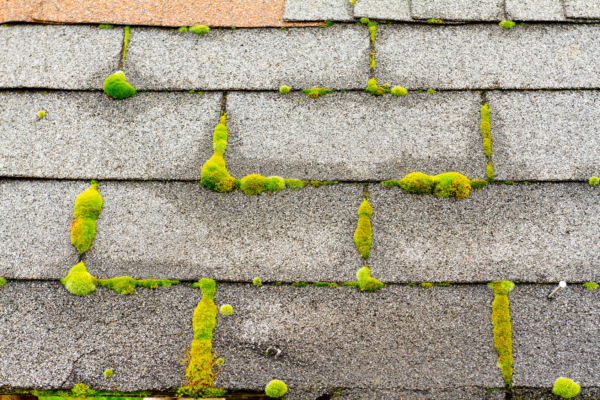 There are many types of algae, fungi and molds that are attracted to the crevices on roofs, but none are as detrimental to the structure as moss. Moss absorbs water and thrives in areas that are cooler and moist. When moss spores find their footing in between shingles, they begin to sprout roots and create a spreading carpet of soft moss. While it may not look threatening, if left in place, it can have serious consequences for the roofing system. When moss takes hold and grows on a roof, any rain or moisture that is available is absorbed by the plant. 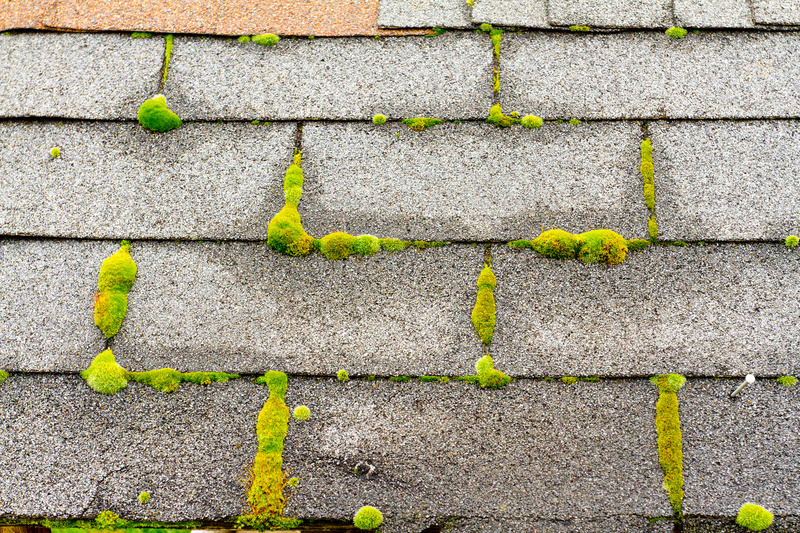 Moss holds this moisture at its roots, often down under shingles on the roof. Over time this trapped moisture can seep into the roof’s underlayment and eventually the sheathing. The top layer of moss acts like a barrier to keep the moisture trapped to feed the roots, which also allows rot to occur under shingles. Eventually this can cause damage to the underlayment, sheathing and frame, creating leaks and other structural damage. Cleaning away moss before it has a chance to damage the underlying structure of the roof is the best solution. However, removing moss must also be done carefully to reduce the risk of damaging the shingles during the process. At Roof to Deck Restoration, we can safely and effectively remove moss and algae from your roofing system to protect it from damage and keep it looking like new. We use an environmentally-safe solution that kills moss and algae, then we gently wash away the remains to restore and protect your roof. Contact us at 651-699-3504 today to schedule your roof cleaning to extend the life of your roofing system. 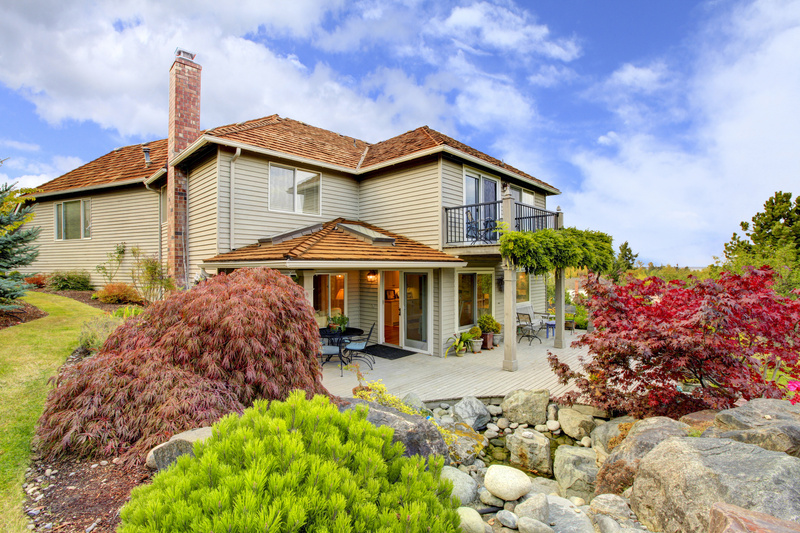 A cedar roof does not provide waterproofing, despite what many homeowners may think. There is tar paper below your cedar roof which is designed to prevent water from leaking into your roof space. With that said, there are signs to look out for that will tell you when your cedar roof needs repairs. 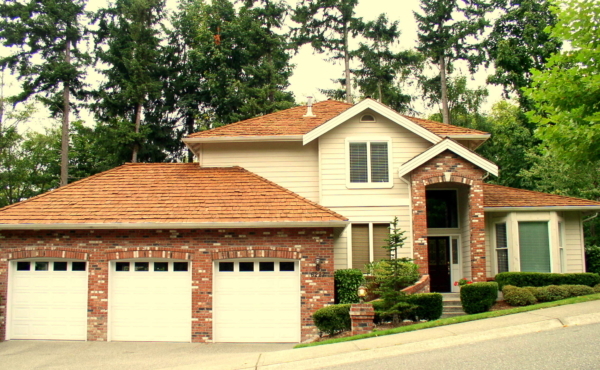 You can expect most cedar shingle style roofs to last around 20 years. That is without maintenance and barring any major damage caused by storms. Medium hand-split cedar roofs, on the other hand, may last as long as 25 years. Homeowners with a heavy hand-split style will be happy to know that they made a sound investment, as these roofs can achieve a lifespan of 30 years or more. That is not to say you should never have your roof checked. There are plenty of mishaps that can reduce the lifespan of a cedar roof. As already mentioned, it is not the cedar roof structure that protects your home from moisture intrusion. However, if the tar paper underneath is allowing water to leak into the roof space, it is still an issue that warrants repair. Water damage can wreak serious havoc on internal and external structures, as well as providing a breeding ground for mold that poses potential health hazards. When areas of a cedar roof are visibly warped or distorted in any way, it is a sign that repairs are needed to save the roof. If you do not address the issue, it may reach the stage where maintenance is no longer an option, which means a costly roof replacement. These problems may be a result of poor installation or nature taking its course when UV light, rain, and other environmental factors contribute to the roof aging prematurely. There are microorganisms such as algae and mold that love moist environments and an organic food source. Your cedar roof is essentially a large and exposed buffet for these hungry invaders. If mold and algae are left unchecked, your roof will begin to soften and the material will break down. Without cleanup and repair, you will end up dealing with a roof replacement that could have otherwise been avoided. Roof to Deck is equipped to identify and repair both minor and major roof damage. Call us at 651-699-3504 so we can perform an assessment of your cedar roof. Minnesotans love cedar roofs. Unfortunately, the claims the manufacturer makes about longevity are only a guideline that is based on the best-case scenario. The truth of the matter is, there are a number of factors that dictate how long a cedar roof will last without needing to be repaired or replaced. Hiring a professional for cedar roof maintenance will save you a lot of headaches in the long term, whether you require services for your home or your weekend cabin. One of the major issues that Minnesota homeowners encounter with cedar roofs is the constant need for maintenance due to shoddy installation. Many repair companies will do a good job of fixing the visible damage to your cedar roof, but they may not address the underlying issue(s). If you find that cedar roof maintenance is costing you a small fortune, it is time to reach out to the professionals. Roof to Deck delivers excellence in workmanship that provides long-lasting protection. The difference between needing repairs or replacement of a cedar roof is knowing when to carry out essential maintenance. Roof to Deck will manage all your roofing needs through regular checks and minor repairs that preempt any serious issues. The last thing you need is a maintenance company that reacts when the damage is already done. You can rely on our team to identify potential trouble spots and make the necessary repairs to keep your cedar roof in excellent shape. Besides excellence in workmanship, you need a maintenance company that delivers professional and exceptional customer service. Roof to Deck customers are never left out in the cold, not knowing if their cedar roof is about to come crashing down. In fact, you can contact us today at 651-699-3504 if you need cedar roof repairs to find out first-hand just how committed Roof to Deck is to deliver on the promises we make. 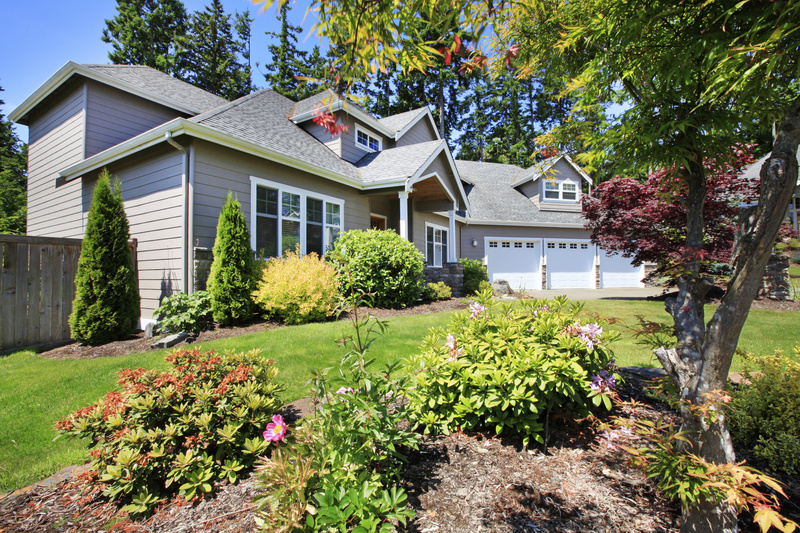 The thing about curb appeal is that it is actually a lot more difficult to know if your home has it than you may think. When you live in the same place for a long period of time, it’s easy to miss those little imperfections that others will pick up on at a glance. Whether you are planning on selling your home or simply like to present a welcoming sight for visitors, curb appeal is the way forward. Home maintenance is one of the best ways to increase curb appeal and completely transform the way people see your property from the street. The most prominent exterior features on your property are your roof and siding. Restoring these elements through power washing and sealing will entirely change the appearance of your home and make it look shiny and new. For homeowners hoping to sell, this will significantly improve the chances of attracting serious buyers. 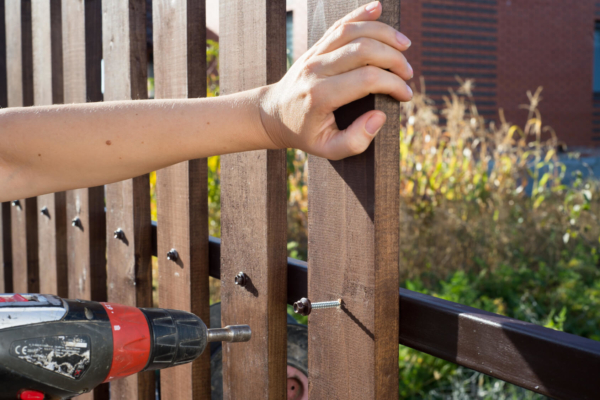 Replacing fencing can become a large undertaking, depending on the size of your property. A great way to maintain fencing is through proper installation or restoration. A properly sealed or treated fence will last much longer; however, restoration is also an option if you take action before serious damage occurs. Nobody likes looking at or sitting on a poorly maintained deck. As one of the most used exterior features on your property, it is important to keep your decking in good shape. A poorly maintained deck can result in accidents, which could result in you facing litigation in a personal injury claim. Cleaning and treating your decking will improve its appearance and strength. Roof to Deck Restoration can handle all your external maintenance needs to help you increase the curb appeal of your property. Call today to arrange an expert on-site consultation. A brand-new wood fence is beautiful and brown, but it will not stay that way forever. Wood exposed to the elements will turn gray and lose its natural luster. If your wood fencing is looking dull from a few years of exposure, bring back the brown beauty of like-new wood. Wood fence restoration can make your fence look brand-new again and give your yard a makeover for the approaching spring and summer. 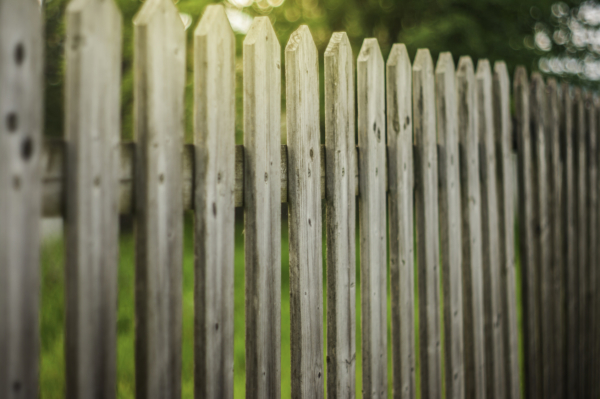 Why Does Wood Fencing Turn Gray? Many wood fences are made from cedar, and for good reason. Cedar is excellent for fencing and can last for many years, especially when maintained with sealant or stain. However, cedar will turn gray if not protected. This occurs from exposure to the elements. The surface of cedar boards contains live wood cells that produce oil, giving the wood its natural color and protection. As these oils are washed and dried away with exposure to precipitation and sun, the surface cells die. The color can begin to change in as quickly as a few weeks or a few months, and mildew or mold can quicken this process. Stain or sealant can be used to protect the wood surface from UV rays and exposure. However, once the wood has turned gray, it needs to be cleaned and restored before it can effectively be stained or sealed. Pressure washing away the dead wood cells without damaging the wood planks is the desirable outcome, which is best performed through professional fence restoration. At Roof-to-Deck Restoration, we have an experienced team of fence restoration experts that can help make the gray go away on your wood fencing. Our team can safely remove the deteriorating elements on the surface of your fencing without damaging the planks, protecting your fence from harm. 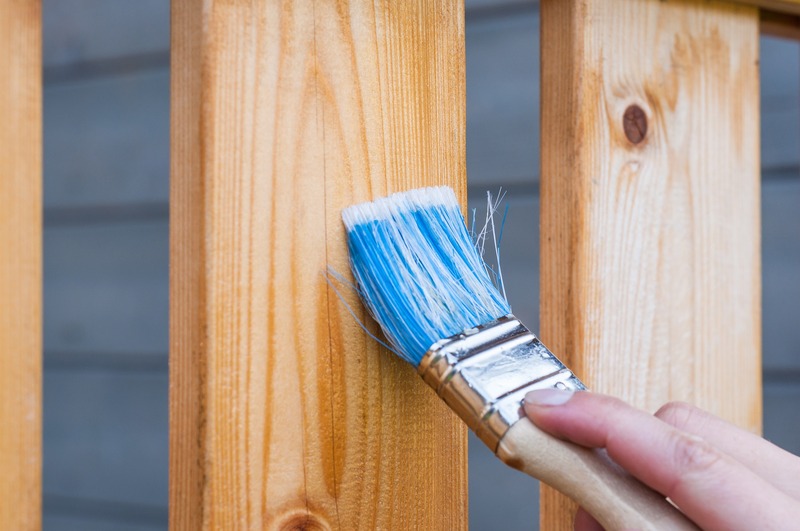 We also offer staining, sealant or painting services to make your old fence look like new and keep it protected from the elements. Contact us today at 651-699-3504 to schedule your wood fence restoration this spring. Spring is right around the corner, believe it or not, and when the snow melts you may be surprised at what it leaves behind on your home! 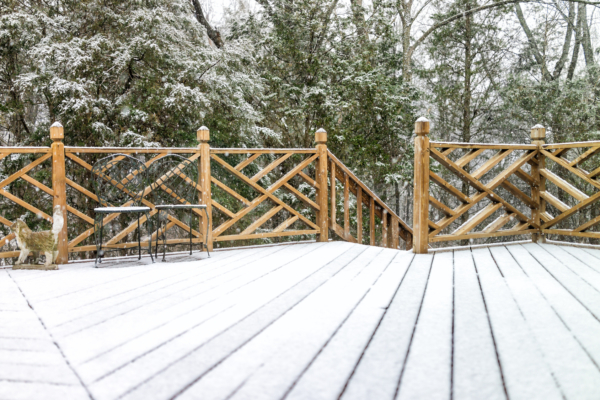 Harsh winter weather stirs up all kinds of grimy dirt and leaves it where it sits; in this case on your home, deck, or driveway. There are some things you can do before spring gets here in order to get your property on the road to looking great. Consider projects from the top down to get your home looking its best. One of the first things to consider is the roof. Getting it cleaned and checked for ice damage should be one of the main priorities. Different types of roofs require different types of care. Dirt buildup on fiberglass and asphalt roofs can lead to mold and mildew colonies. Cedar shakes require specialized care. Yours may be in need of a wood restoration professional for cleaning and sealing against the ravages of the summer sun, and inclement weather. Homes can have a variety of sidings as well. Qualified experts know the best method for cleaning and eliminating the source that can lead to bigger problems. If moisture collects in spots, you could wind up with serious mold issues, as well as structural damage. There are special solutions used by restoration professionals which will help preserve your home’s siding and stop the elements from doing damage. One of the most vulnerable areas of your home is your deck or wooden fence. These take a beating every year, all year, and if not properly treated, will show signs of wear and weathering. Woodwork requires cleaning and may require treatment and staining as well. As with your roof and siding, moisture collecting in spots can cause mold to grow. This weakens the wood in addition to making it look unsightly. The Roof to Deck Restoration professionals know what to look for from your rooftop out to your wooden fences. They also know how to clean, restore, and prevent problems. Let us help you devise your plan for a beautiful spring. Call us now to set up a consultation! You have decided to update your fence. Maybe you once had a chain link fence that you have decided to replace with a privacy fence. Maybe you had no fence at all and have decided your home needs one more for a decorative touch than for privacy or security. Whatever the reason, your new fence is an exciting addition to your home as long as it adds to the aesthetic beauty of your home and yard. That is why it is essential to choose just the right wood for your new fence. Selecting wood for your fence is twofold. First, you need to choose the right type of wood. Next, you need to select just the right grade for your wood. There are six types of wood that are generally used for most backyard fences: Pine, Fir, Spruce, Cedar, Cypress, or Redwood. Pine, Fir, and Spruce are typically the most affordable of the bunch. Also, they are standard construction woods and have proven durability. However, they are not quite as beautiful as other woods on the list, and may not provide the desired look for your fence. In contrast, cedar and cypress are a bit more pricey. However, they offer the natural ability to repel insects. Cedar's natural oils have been long known as insect repellents, and cypress is treated with a specific chemical that no insect enjoys. Also, these types of wood have a longer lifespan as they are rot-resistant. Redwood, on the other hand, is extremely expensive, yet the most beautiful of the bunch. One of the reasons redwood is so expensive is because it is the most durable of the woods for the job as well as the most aesthetically pleasing. In addition to the types of wood, you need to consider the grade of it. The grade of the wood refers to the quality of that particular piece. Grades are often classified as standard, construction, select, premium or clear. Pricing is determined by the type of wood as well as its grade. You may be able to purchase a lower grade of redwood and still receive the beauty of it for your fence. The higher the grade of your wood, the more durable and higher quality you will receive. Therefore, it is important to choose not only the look of the wood, but also the quality of it when choosing materials for your new fence. Your decision should be based on budget, design, and needs. If you live in an even climate area, you may be able to use a lower grade of wood than if you live in an area where the weather changes and you get the worst of weather. If you have a wood fence in need of restoration or cleaning, contact the experts at Roof to Deck Restoration at 952-352-9986. Our experts have years of experience treating all types of wood and making sure your investment lasts for years to come.